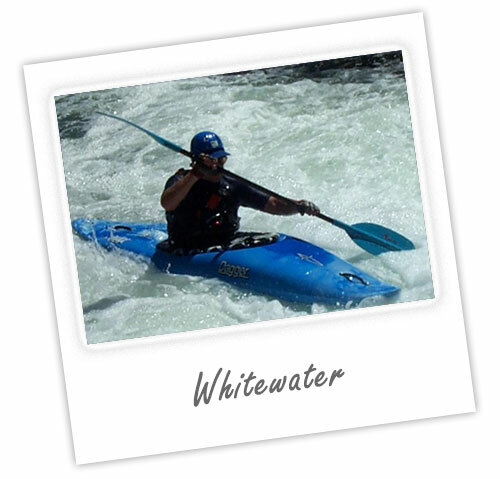 Paddling whitewater on our local rivers ranges from easy excursions to serious paddling for the experienced and skilled kayaker. Our courses are designed to introduce you to this thrilling aspect of paddling, and qualify you to undertake more advanced events with us in the future. For those planning on entering the instructor courses, time logged on these events will assist you in meeting the pre-requisites for future courses. Typically a full day course on moving water and grade 1 and 2 whitewater rapids, designed to introduce you to the skills of paddling in this environment. The courses are seasonal, depending on rainfall for suitable conditions. We will teach you the basics of controlling your craft in the current, how to break in and out of the flow, and the basics of reading and running easy rapids. 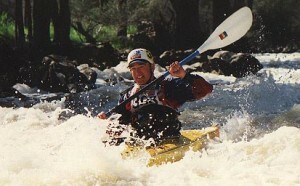 Essential whitewater safety and self-defense skills are also covered. This is an event undertaking a tour on grade 2 and 3 water designed to expand on the course above. We cover paddling in more demanding whitewater, expanding on the skills of reading the water and controlling your kayak in these conditions. Time logged with us on the above events will qualify you for participation in our whitewater touring program, and may count towards pre-requisites for future Australian Canoeing Award Scheme courses.